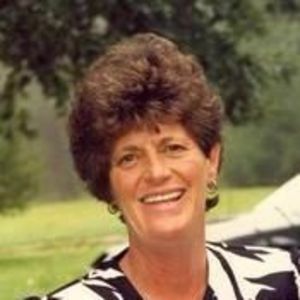 Carolyn Sue Spears, 66 years of age of Wilkinson, passed away Friday, April 29, 2011 at her home with her family by her side. I'm so sorry to hear of Carolyn's passing. I went to school with her and remember her for her smile and contagious laugh. She was a great classmate. She will be missed. Shawn & Kelly-- So sorry for your loss. Thoughts and prayers are with you and all of your family at this time. We are so sorry for your loss. Everyone that knew Carolyn has lost a wonderful friend. She was always so supportive of everyone that she knew and had a kind word for everyone. She will be truly missed. She is another of God's angels now watching over all of us. I'm so very sorry to hear of the passing of Carolyn. She was a very kind and compassionate person. Always smiling and giving a thumbs up to everything. She will be missed. Dale, You have our heartfelt sympathy, I used to work with Sharon Boggs at Remy and bought Ben's Honda, Truck and Camper. be assured your sorrow is being divided at this time. Dale, Shawn and Family: You have our deepest sympathy. Keep your memories close and Carolyn will always be near. A new angel has now be added to heaven. We are very sorry for your loss. She was a good friend and we will miss her so much.